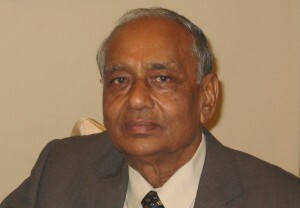 Shri Dharampal Agarwal retired as special metropolitan magistrate in 2006. Before this he had a distinguished career as chief public prosecuting officer in Government of National Capital Territory of Delhi, India spanning over 35 years. Shri Dharampal Agarwal completed his LLB from Law College, Chandigarh in 1967. Shri Dharampal Agarwal is an active social activist and engaged in multiple community services. Shri Agarwal ensures that the company mission and values are followed in letter and spirit. Ajay is management and technology professional with 24+ years of experience in operations, delivery, systems engineering, architecture, project and program management. Ajay has worked for leading technology organizations in product and services space including Siemens, Ericsson, Aricent, Syntel, GlobalLogic, BMC Software and AVL. As an architect at Siemens, he was responsible for Siemens global VOIP platform. He received his B. Tech in Computer Engineering from Nagpur University and MBA from Symbiosis University, India. He has functional Experience including SIP/VOIP, OSS/BSS, TDM/SS7/VAS, IN/pre-post paid, messaging, ITIL, Remote Infrastructure Management, Data Acquisition systems, Real Time, Embedded, Transportation, Retail and Logistics. In past, Ajay has managed large ODC’s of 450+ resources and managed many fortune 500 clients like Genband, Comverse, Openwave, FedEx, Target, ThomasCook, American Greetings and Volkswagen. 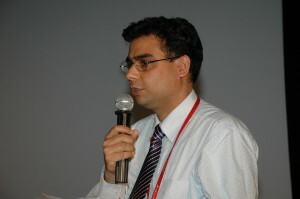 He was also responsible for managing service delivery partners like Infosys, Wipro, Symphony and TCS. He has instituted Agile management practices Scrum based for higher productivity, collaboration in delivery. 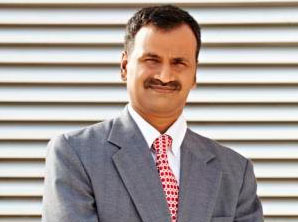 Sandeep is a proven leader and manager in the IT industry. He has 20+ years of experience spanning 3 continents, 6 industry verticals, software services as well as products. Sandeep is a Project Management Professional (PMP), a Program Management Professional (PgMP), a PMI – Agile Certified Professional (ACP), a Certified Scrum Master (CSM), Certified Scrum Practitioner (CSP) and ITIL Expert. He is a recognized expert in the field of management of IT projects and programs and has featured in a number of publications and speaking engagements. Sandeep is also interested in consulting, mentoring and training assignments for project and program managers and organizations looking to increase their project management maturity levels. Specialties include Scrum, Agile Methodologies, Project Management, Program Management, IT Service Management, Soft Skills, Stress Management, Consulting, Training, Mentoring. Sandeep received his M. Tech from Indian Institute of Technology, Bombay and has a MS from Institute of Chartered Financial Analysts of India. 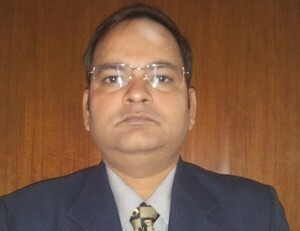 Anshuman has 14+ years of experience in IT sales and presales, with a deep understanding of enterprise technologies, data center infrastructure, grid computing, high availability and clusters along with various virtualization technologies, enterprise storage technologies, backup & recovery, archiving, DR and BCP. He has trong exposure in dealing with partners and alliance. Anshuman has in past worked with Dell, Brocade Communications, Wipro and iGate Technologies. Anshuman has closely worked with India based Global Service Providers , outsourcing companies and system integrator in infra and application space. He has strong executive level relationships with decision makers in Indian domestic market and global service providers as well as with IT operations ecosystem partners in India and outside India.